Relapse Records continues to reissue the calculated progressive violence of The Dillinger Escape Plan. The label's latest installment comes in the form of a 10" of the Under the Running Board EP, which is now available for pre-order. Considering how quickly the Calculating Infinity, Miss Machine, and Ire Works reissues were picked up, I imagine this one will go quickly as well. Info and links are courtesy of Relapse Records. 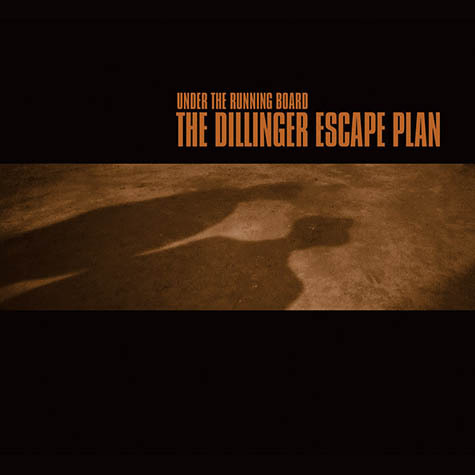 Relapse Records is proud to announce the deluxe vinyl reissue of The Dillinger Escape Plan's classic and highly influential Relapse debut EP Under The Running Board. Originally released in 1998 and unavailable on vinyl for over six years, this special pressing will be the album's first time ever on 10" wax, allowing for higher-fidelity. The LP also includes an etching on side B. The reissue of Under The Running Board is set for worldwide release this coming March 4. Pre-orders are available via Relapse.com AT THIS LOCATION, and the album can be streamed via Bandcamp HERE. A trailer for the reissue can be viewed HERE.